The holidays are here with all the good food and cheer that entails, but you’re still working through a healthy diet resolution you made last winter (well, sort of). And the recording in your head is annoyingly repetitive, playing in the background at every meal, “Eat healthy today…exercise tomorrow.” And now, here we are in November, and your goals once again have to compete with the holiday’s sugary, carb-y, high-calorie food. However, don’t fret. Just make a plan. We’ve compiled a few tips to help you survive the holiday season noshing – without destroying your diet. Eat before you go out. You don’t want to show up at an event totally famished. Eat the healthiest options first. Drink a full glass of water, eat raw veggies, or a salad. This will partially fill you up and save you from noshing on the unhealthy foods. Don’t sit in front of snacks or at a table full of food. After a period of time you will start picking and eat more than you planned. If it’s a potluck, be the person to bring a healthy dish that you can eat guilt-free. Eat slowly. Converse with the people around you and enjoy the company and environment. For everything you put on your plate that is not the best choice, add something to your plate that is a good choice. It’s about balance. Skip the appetizer if you know you want dessert. Use smaller plates. You can’t fit as much on the plate so you will eat less. And don’t go back for seconds. Avoid excess alcohol. Beer, wine, and all alcoholic drinks are chock full of empty calories and will make you eat more without even thinking. After a drink or two switch to sparkling water with lime/lemon. Drink glasses of water throughout the night. If you are going to a restaurant, consider splitting your entrée since most are oversized anyways. Or just eat half of it, and box the rest up for later. Don’t go shopping hungry. Keep healthy snacks in your car or purse. 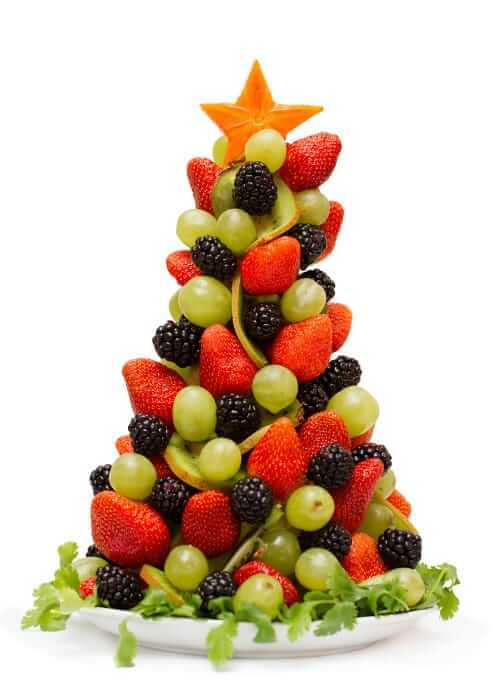 If your office has an excessive amount of holiday treats showing up in the break room, be sure to keep some healthy snacks in your desk at work as well. When you are finished eating, pop a piece of gum or a mint in your mouth. Keep exercising. Even if you can’t get out to do your 30-45 minute routine. Break it up into three 10-15 minute walks throughout the day.